'a reputable source' wrote: It will not be released until worldwide patents are in place. Ah, there was the actual patent. I never found it before, only some stuff that seems to be experiments with some of the ideas. I notice that the design of the DBS has changed. Increased attack resistance...? Now it kinda reminds me of those lever payphone locks (can't remember the name) where the levers are locked into place at the closest bitting. I'm a bit worried how the lock and keys wear, as the discs will move around when the key is inserted and just like in a pin tumbler, the first one takes most of the wear. 'Regular' Abloys do not have any of that issue, as the key insertion is basically frictionless and keys/locks last for decades. Also will be nice to see if the Braille point ended up on the keyblank or was the design modified. The patent seems to to show vastly different inner parts than in the prototype I saw, but patents hardly ever resemble the actual product, just the idea is conveyd over. I'm more than eager to see the production model, as the patent images pretty much reveal ways one can make tools to open that lock. In my mind it looks way more easier than anything prior from Abloy. hux: The. game. is. on. The patent linked up there is not the lock Abloy are going to release. I actually prefer that design but Abloy have changed it and have re-applied for the patent. They've actually changed a it quite a lot. 2 grooves? No, there are 3 now (Abloy are jizzing over the fact that this brings the number of differs up to 13.8 billion). The newer version has completely changed the way the core fits together. There is no longer an 'inner core', there is an inner core made up of sections that clip together. The sections act as disc housings, like the Tokoz Pro a bit but they are kept together by 2 thin bars. Why do this? Well in the patent they state it is easier to assemble like this...but I think it is to get rid of the cumulative 'slop' that can accrue between the pack. Abloy have been susceptible to the problems from this slop for...well, forever. The closeness of the pack solves a few problems but it introduces new ones. The sections look very...sturdy, shall we say? But the real protection in this lock comes from the dual DBS bars. These are visible on the patent above, they live at 3 and 9 O' clock. The sidebar can't even be tested against the pack until both of these bars have retracted into the teeth at on the sides of the disc. This is the genius of this lock for me, it is incredibly beautifully designed. Even if you could somehow tension the sidebar directly, the DBS bars will still have to close into the pack before the sidebar is tested. If we compare DBS systems on this and the Protec then there is no contest. The Protec DBS is over-engineered and clunky and so very fallible. It is not an integral part of the unlocking mechanism, it is sorta bolted onto the side. It is a nice concept but the Groove pisses on it. The payphone lock is the WE30C and is a superb lock. But its DBS is similar to the Protec in that it is not essential for it to activate for the lock to open. Is it invincible? Don't be silly! How does the "sidebar can't touch disks until they are locked in place" mechanism work? It's far from obvious from the patent. As to the Protec DBS, the nice thing about it (from an engineering if not a security perspective) is of course that it's basically just an extension of the return bar mechanisms of earlier Abloy locks. So if anything, shouldn't it be called UNDER-engineered? PS. Wonder if it can be made to leak information about how far the sidebar has retracted? Then you could possibly attack it basically like a combination lock. Practicality and time of that is another matter entirely, though! The 2 DBS bars are the first things that move (inwards) when you apply tension, the sidebar moves too (rotationally) but does not start to hit its 'inward movement ramps' until the DBS bars have fully retracted into the disc pack teeth. Only then does the sidebar get push inwards and tested. Don't get me wrong about the Protec DBS, it does add security, it is just not as simple and elegant as the Groove design. When the correct key is used with the Protec, the DBS doesn't HAVE to fire in order to open the lock. Last edited by huxleypig on Thu Mar 30, 2017 10:22 pm, edited 1 time in total. Patrick Star wrote: How does the "sidebar can't touch disks until they are locked in place" mechanism work? It's far from obvious from the patent. A cylinder lock according to FIG. 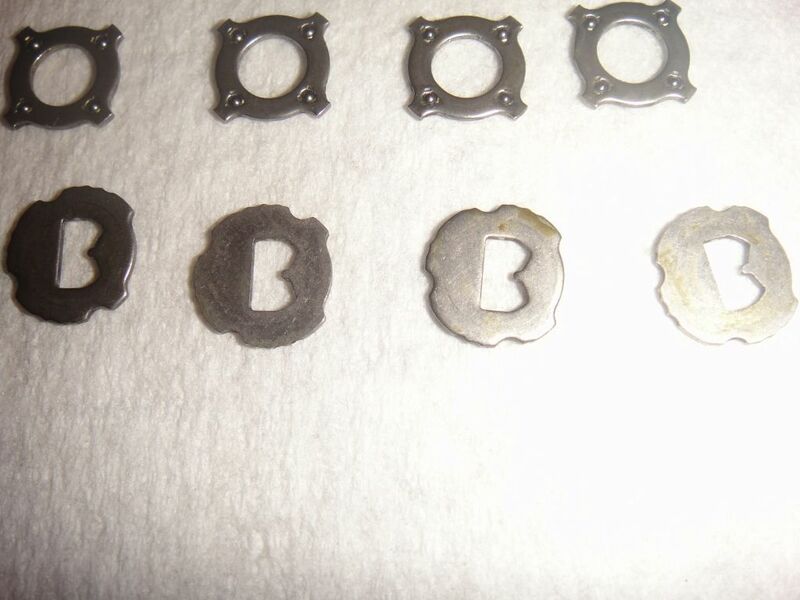 1 has ten spacer plates 13 and between these nine tumbler discs 17. The lock further comprises a lock rod 20, which can move radially in the axial gap 16 in the body part 5 of the drum. The spring 21 loads the lock rod 20 radially outwards towards the locking position, in which the lock rod 20 is partially in the gap 16 and partially in the groove in the cylindrical inner surface of the cylinder body 4. The tumbler discs 17 keep the lock rod 20 in this position, and it prevents, in this case, turning of the drum 5, 6 and the output shaft 7 of the lock in relation to the cylinder body 4. When the key 1 of the lock is inserted into the lock, it turns with its guide grooves 15 the tumbler discs 17 into a position, which allows the lock rod 20 to go into the releasing position. The drum 5, 6 and the output shaft 7 of the lock can then be turned in relation to the cylinder body 4. As is observed from FIG. 6, the radially more outward part of the attachment rods 19 is placed into the nest groove 26 in the cylindrical inner surface of the cylinder body. The nest grooves 26 have an oblique side surface 27, which, already in the initial turning of the drum 5, 6, forces the attachment rods 19 to move radially inwards towards the tumbler discs 17. In this case, the wedge-like inside edge 28 of the attachment rods 19 presses together with the tumbler discs 17 in the same manner from the shaped recesses 29, as a result of which the tumbler discs 17 attach centrally in the drum 5, 6. The attachment rods 19 are located opposite each other at a point, which is 90° away from the location site of the locking rod 20 of the lock. Section 23 describes the sidebar "20", so it's spring loaded into lock position. Besides the higher wear Jaakko noted, this seems like another Abloy no no to me. But maybe it's not as much a failure point as a typical pin tumbler lock. Section 43 shows that as you turn the key slightly the locking bars "19" first jam into all the discs, then the sidebar would begin retracting, presumably due to the width of the slot for the sidebar being wider, than the tighter fitting locking bar slots. I have my ideas on this newer DBS system, so excited for it to come out. But I'm not sure why they need to wait for worldwide patents to be finalized. They could release per market if they are really worried, but honestly patents are first to file, do they really think such a patent would be accepted in some countries but not others?? I think something else is going on with their production or something as they would have known a long time ago about patents and not even released a 3D marketing video until they were sure about them. But just my opinion, at this point all we can do is guess I suppose. huxleypig wrote: The 2 DBS bars are the first things that move (inwards) when you apply tension, the sidebar moves too but does not start to hit its 'inward movement ramps' until the DBS bars have fully retracted into the disc pack teeth. Only then does the sidebar get push inwards and tested. On the Protec, yes when compared it seems worse as it still allows some amount of travel until locking whereas the Groove design is locked immediately. But in practice I wonder if they aren't about the same. My theory is if a key can open the lock, so can another tool. But I'm willing to be proven wrong, still out with the lock already! Ah - I kinda misunderstood what you said. As that there would be some sort of mechanical linkage that keeps the sidebar from touching the disks until the blocking bars have engaged. So that even if you actually pushed the sidebar towards the disks (drilled hole or whatever) it wouldn't touch them. When it comes to "unpickability" of mechanical locks, well... I think it should actually be possible to achieve a level where you at the very least have to go outside the purely mechanical realm to attack it in a meaningful way. Like radiological attacks. Whether any lock that has been or will be manufactured actually achieves that is another question entirely though. Isn't the closest ones to achieve it likely (still) certain Group 1 combination locks? Patrick Star wrote: Ah - I kinda misunderstood what you said. As that there would be some sort of mechanical linkage that keeps the sidebar from touching the disks until the blocking bars have engaged. So that even if you actually pushed the sidebar towards the disks (drilled hole or whatever) it wouldn't touch them. No linkage, it's simpler than that. It's just like any other sidebar but the little slot in the outer shell is wider than the sidebar, quite a bit wider. Wide enough to allow enough rotational movement so that the (tight) DBS bar slots activate first. Consider it like a 3 sidebar lock, but the 2 sidebars at the side don't care about bitting, they just enter a rack of teeth. So yes, you could theoretically drill a hole where the (real) sidebar lives and you'd be able to use it to apply direct tension, without rotating the DBS into play. You wouldn't be able to pull it out though, as it is 'L' shaped. The linkage thing you mention there is how the Kryptonite Evolution blocks its disks. It does remind me a lot of the DOM Diamont, but the grooves would likely be used to get around patent differences. (Unless the DOM patent is expired). Will say that the Diamont is almost smooth as glass when inserting the key due to each spacer having four tiny ball bearings. Just a quick update on Groove. Turns out that it didn't fail testing, "Abloy found a flaw in the design"...which means it failed testing in my book, lol. I think it is just as I thought regarding the...sturdiness of the design. The original design by Mr Uljens did not have this issue. But then maybe they found something else, who knows? Latest news from LockCon was simply "It failed testing". Nothing more. My theory: Use a tough steel breaker tool on the first section, then the second section, then the third section, to make yourself new sidebar notches. You can't do that on the entire pack, but on *one third of the pack at a time* you likely could.